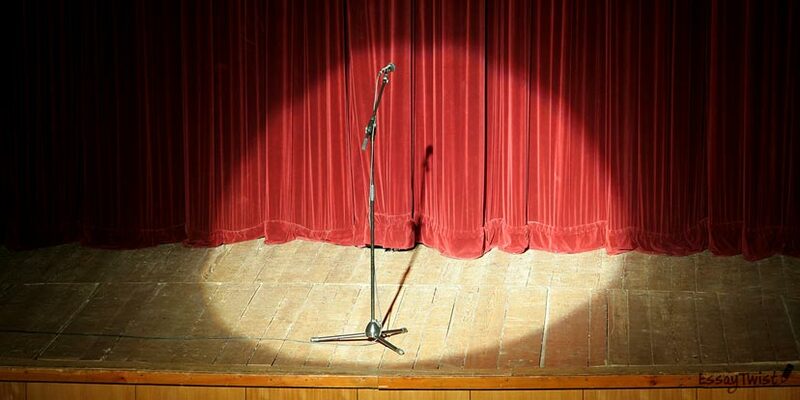 Imagine the light on the scene and you standing there in the center with a microphone. You were told to say a few words about yourself, so to say, describe yourself. Scary? Terrifying? Amazing! Writing an autobiography is a great chance to deepen into your own world and explore the limits of your self-praise. You do not have to be any notable personality or win a Grammy to write a biography about yourself. At the same time, it is a very responsible task. You are to present yourself just like a good on the market: you honestly and sincerely share your life and great ideas with other people and even the whole world. Imagine reading an amazing story of someone who's doing something intriguing with his or her life, telling interesting stories about its different periods and inspiring other people or even future generations. Is it about you? Not? Let’s find out at essaytwist.com! To understand it fully what it being required from us, let’s define the word “biography” and apply it to our topic of an essay. If you truly think a research of your own life is not needed, we are here to surprise you: you do have to do a research. Why? Because you may have an opinion that you know everything about your life and could write about yourself without a preparation, you can do it. But the point is that it will not look the same when you would revise old memories and interesting stories, ask your parents and friends about some special situations even having happened to you. There are a few fantastic ways to make your autobiography look like it has to be written only by you. Just bear them in mind to have your paper truly reflect the style of your life and impact others as well. Have something to impress with. Yes, the life is not a bunch of presents but still it is amazingly interesting and adventurous! Just pick some most amazing stories that would astonish every reader and are especially important for you and do not hesitate to tell the world about them! Make it emotional. Let others feel what you have felt during special periods of your life. Add photos! What can be a better evident of you than the visualization of your story? Use gestures, dance, singing to describe particular moments, if your teacher is not a dryasdust, he or she will definitely appreciate your efforts! Make some drafts for the future of your autobiography. How do you see yourself in 10 or even 50 years? Even if you find your own life not that impactful and intriguing enough to serve as an inspiration for others, save some praise for yourself. You definitely possess the qualities that some people may lack and which you would like to share with the younger generation. Do not be afraid to express yourself. It is your paper about your life and only you decide what should be written there. However, another crucial issue is to understand what a teacher wants to hear from you in your paper. If it was a task at school, ask a teacher to explain the main points that need to be enlightened there. Carefully listen to what they tell as it is basically what they will demand from you later. Reread it a few times to understand what would be redundant in this way and what should be inserted. Sometimes you may overlook the abstracts that are not very fitting in there but after having read it aloud you may notice them. So, never flout such an essential step in the process of autobiography writing. Editing is required. If you feel lack of editing skills, bravely turn to our writing service and we will do the work at our best! Additional trick: to make your paper look more personal you can try handwriting. It will be slower than typing but definitely worth it! Or use a special font like MV Boli and enjoy the autobiography of yours look perfectly! Yes, writing an autobiography is always a big challenge. However, with a stern view and lots of inspiration to show yourself you will never struggle with it and only get joy from talking about your way of life and looking at it from a different angle. Rated 4.4 | 138 votes.